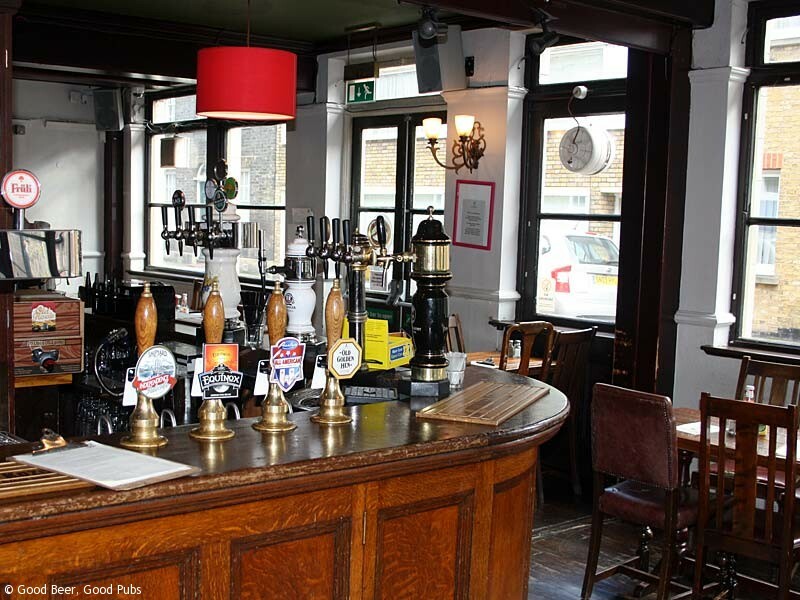 Large one-roomed pub in the backstreets close to Waterloo Main and Waterloo East railway stations. The exterior of the pub suggests that originally the pub was perhaps a Trumans pub many years ago. Inside though, things are probably a bit different from those days. The central island bar is directly in front of you as you come in through the front door, with seating areas to the left and the right. 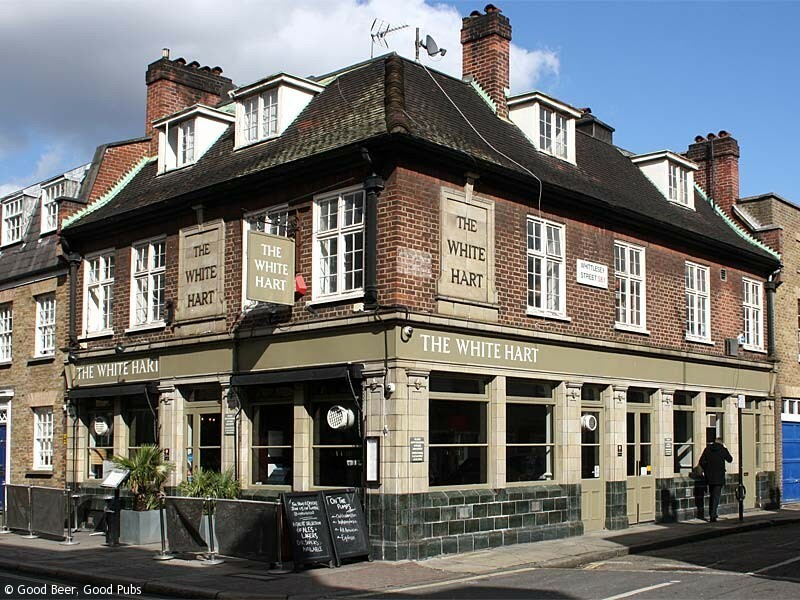 The open plan layout and the large picture windows give the White Hart a light and airy, welcoming feel. 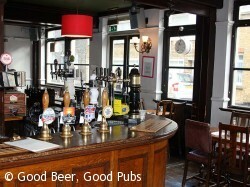 There are four hand pumps on the bar. The real ale selection used to be a little staid but the selection now is a lot more interesting and you may find beers you’ve not seen before. After a bit of a wobble in 2012, the beer quality is superb and this pub competes with the nearby Kings Arms for my attention when in this area. There are some craft beers available as well. The beer prices are at the higher end, but that is common in this area now. Food is available at lunchtimes and in the evening from an interesting menu. The food is good, but you may consider the portions a bit on the small side. 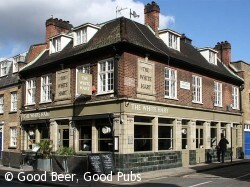 The White Hart is popular and can get very busy in the evenings especially. On warmer nights you will also probably find many people in the small area outside. Like the nearby Kings Arms, the free wi-fi means the pub can be a nice ‘office’ for those who work from home.